A Commitment to Renew, Revive and Reenergize Churches of Christ Across the United States. I think that we all understand that many congregations across the USA and in a state of crisis. The problems differ, but generally relate to a lack of congregations, a lack of preachers, a lack of evangelism and a lack of resources and assistance for church leaders. Sunset, as well as other ministries, has dedicated themselves to assisting congregations in such areas, but the need appears to be greater than ever before. It’s time to come together and work side by side in changing the momentum and helping congregations become healthy and grow in maturity and in number. The problem will not simply go away of ignored. It will just become worse. Many of these areas are ones that Sunset has been addressing for more than 50 years. In these areas, we just need to be more fervent and effective in impacting the United States. Some of these areas have not been addressed by our ministry in previous decades, but must be addressed with urgency in the years to come. Fortunately, Churches of Christ have a number of faithful ministries that focus on serving congregations in these ways. With several of these ministries agreeing to work side by side in this effort, we could see a major change in our nation. Perhaps we could even have an annual meeting to discuss working together in this way together. Thanks for attending this meeting. Thanks for what you do in assisting congregations and congregational leaders in the USA. May God bless us all as we work together for the Kingdom of Christ. For 55 years, Sunset has been training and equipping preachers and ministers and preparing them preach, teach and minister in congregations across the country and around the world. 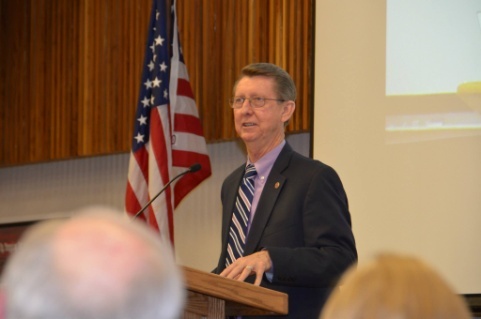 Teachers like Ed Wharton have dedicated their lives to training such Christians. Graduates of Sunset have filled, or are filling, pulpits in all 50 states. The need for qualified and capable preachers, ministers and evangelists has always been important and there is a desperate need for more of them today. Many congregations are struggling without a preacher to fill their pulpit, without trained evangelists with practical experience and without materials, resources and training for congregational leaders. While Sunset has always sought to meet these demands, there is a need for us to recruit more capable students to be equipped and trained to fill the needs of congregations in the USA. There are simply not enough equipped men to preach and minister in our current congregations or to plant new congregations. An increased focus on recruiting a new generation of preachers and ministers who will be prepared for ministry and then return to work in congregations in this nation is essential. This will take funding and personnel. Once recruited and admitted into Sunset, that person will be given the biblical and practical information necessary to plant, mature and develop a healthy congregation. Fortunately, Sunset has many who have actually done this in our nation. 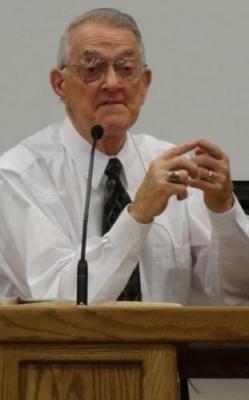 Truitt Adair, SIBI President, preached in Texas after attending Sunset and then returned to Arizona as a church planter and preacher. This experience in ministry is vital. The faculty and staff at Sunset is ready to train these recruited preachers. At the same time, we need to realize that times have changed in our country in recent years and there will be a need for continuing education, a need to update skills and a need for new instructors as new generations are taught. There is more to education that classroom instruction. The Sunset faculty will need to travel and assist graduates as they transition into ministry. There is much need for prayer, fellowship and mentoring as this new generation of preacher and minister leave Lubbock and begin their ministry. The need is to aggressively recruit new preaching students across the United States and to provide required scholarships to finish out the support of those who are the most qualified. Sunset has trained a number of domestic mission teams who prepare themselves to work in needed areas of the United States. The King family and McDaniel family prepared at Sunset before planting a congregation in Rapid City, South Dakota six years ago called the Rapid City Church of Christ on West Main. Their congregation started in a house with just their two families and is now a strong and active congregation. Tim and Ozzy are pictured here with a new Christian named Lucas that they converted in Rapid City. Ozzy and Jennifer continue to work in Rapid City today. There is a need for more mission teams like this and more healthy congregations planted around the country. This is a key element in making this country godly. The truth is that we will need hundreds of mission teams like the Rapid City team if we want to make a real difference for Christ in this country. This will require recruiting, training and following these teams to the field to apply what they have learned during their time in the missions program at Sunset. Our graduates value such interaction with their teachers and are in need of this expertise, mentoring and guidance. In the past, expenses have limited this kind of ‘hands on’ mentoring, but to be successful, we will need to find the funding to follow our mission teams to the field and give them the support and encouragement that they need. It will be necessary to employ additional qualified missions staff to recruit, form and train domestic mission teams, to assist them in choosing a city or town that needs a new congregation, and to work with them in planting and developing a healthy congregation. In doing this, we will establish a new lighthouse in a dark area of our country and provide an opportunity to for the teaching of the gospel, for the maturing of disciples and for meeting the needs of the individuals and families in that community. Planting and growing healthy new congregations across the country is a key part of fulfilling our mission for America. Many of the struggles that are being faced in local congregations are a result of congregational leaders who lack education and training for dealing with the issues and situations faced by congregations in our world today. There is a need for accessible assistance for preachers, church leaders and church members who are being developed into leaders for the future. Through the Sunset Academy of Leadership or SALT, seminars and workshops will be held all across the country to train and certify congregational leaders of all types, to provide free tools and resources for congregations and congregational leaders and to provide consulting and mentoring services for participants. Our goal is to make this inexpensive and easily accessible for church leaders all over the country. Seminars and workshops have been provided to church leaders in other countries for years, one was recently offered to church leaders in Ghana, it’s now time to offer this same opportunity to leaders in this nation. Curriculum is currently being written for seminars and workshops that will be taught to congregational leaders allowing them to become certified by Sunset in areas like organizational leadership, biblical models of leadership and leadership skills. These will be taught in congregations across the country. Each year, a series of seminars will be taught in 9 areas of the country allowing congregational leaders easy access to training opportunities. Sunset will offer consulting and mentoring to leaders, on issues and situations being faced in their local congregation and community. 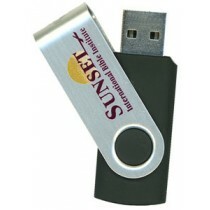 Sunset will provide free online resources that will assist leading congregational leadership. Sunset began as a preacher training school for Spanish speaking preachers. There is a real need for Sunset to return to its roots and offer real answers to the needs of Hispanic congregations across the United States. While the population of Spanish speaking people continues to grow rapidly, Spanish speaking congregations are struggling, declining and even closing. These congregations are lacking the tools, resources and expertise to grow and mature as they should. The key will be to engage successful church planters and church leaders who have grown Hispanic congregations to help provide real solutions to the problems that are being faced today. 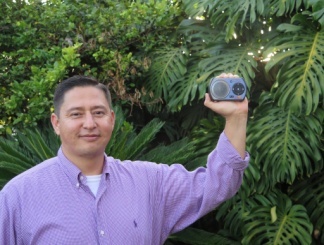 Luis Melendez has been working with Sunset to distribute solar powered audio players in Spanish in his native El Salvador, Costa Rica and in other Central American nations. Sunset has asked brother Melendez to return to the school to take the lead in this ministry. He will work with Spanish speaking congregations and Anglo congregations who are hosting or working with them. Luis graduated from Sunset and moved his family to Palmares, Costa Rica where there was no Church of Christ. He began setting up Bible studies, baptizing Costa Ricans and then teaching them and training them to be disciples. 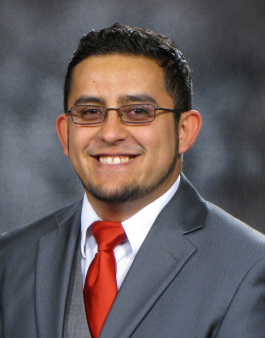 After growing the congregation and training local leaders for several years, he made the decision to return to the States to help train other Hispanic preachers to plant healthy and growing congregations. Before leaving, he led the congregation in bringing in another well trained preacher. Leonicio Arguedas was originally from Costa Rica before leaving to study in Panama and was mentored by Luis upon his return to lead the congregation in evangelism and church growth. 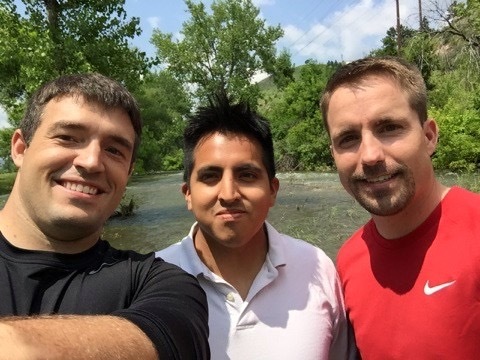 Luis, along with other capable Spanish speaking preachers who were trained at Sunset, are needed to plant new congregations, renew struggling congregations and to assist church leaders is dealing with the issues faced by so many congregations. This ministry is so important to our nation, especially in our area of the country. As the Hispanic population continues to grow, our emphasis on meeting the spiritual needs of this population and on having healthy congregations for them becomes more and more important. There is a biblical mandate to serve our communities and to meet the needs of the lost around us in order to have an opportunity to teach them the good news of Jesus. Jesus, while in this world, gave us an example of living a life of service and taught in his sermons and parables the need to minister to the world around us. We need to minister to our community and respond to the disasters and emergencies around us and then follow this up with evangelistic efforts that will benefit the local congregations. This is not new. Sunset and other ministries have done this in the past and most recently after several natural disasters in the USA. We need to continue good humanitarian efforts along with helping local congregations to ensure that there is effective evangelistic follow up to these humanitarian efforts in their communities. Following Hurricane Harvey, Sunset immediately began gathering funds to assist Christians and communities in the Houston area through local congregations. 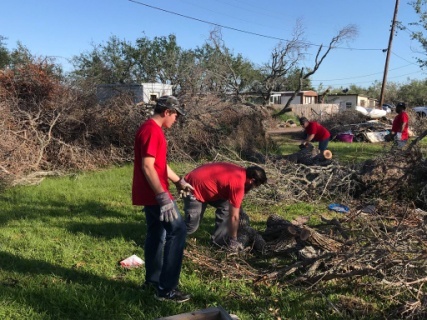 Several weeks later, students and faculty members of Sunset went to Houston to physically assist in the clean up effort that followed and were able to interact and share the good news with those receiving help after the hurricane. This was a blessing to those in the Houston area and to the congregations we assisted, but also a great benefit to our students They saw the importance of serving the community, the impact congregations can have in such moments and the way that these acts of service open doors for the teaching of the gospel of Christ. This experience will pay dividends for the Kingdom in the future as they apply these lessons in their ministries. There is a need for more opportunities like this one. We can assume that there will be more natural disasters where help will be needed. Sunset just needs to be prepared to partner with congregations and take students and faculty members to participate in recovery efforts. More than that, we need to train our preachers to look for opportunities in their communities to serve others and join them in using these opportunities for evangelism and church growth. This will be a positive step in improving our nation and in growing our congregations across the country. 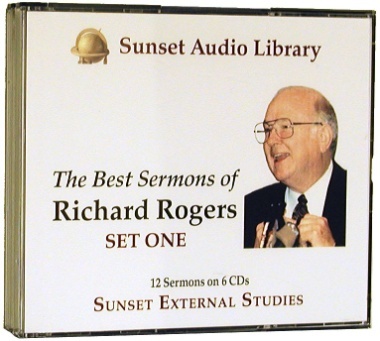 Sunset is beginning the process of digitizing thousands of pages of documents and hundreds of recorded sermons and lessons on Biblical topics that have been collected and stored in various formats for decades. This material will be cataloged and made available on a website for church leaders and Bible students from across the country and around the world. Many of our small congregations are struggling to meet their weekly budget but have a real need for information, teaching and insights that can be offered by Sunset free of charge. This will give preachers, church leaders, satellite schools and Bible class teachers materials that they can access through the website or an app available for download on phones or tablets. It is vital that congregations have access to biblical and practical information on Bible texts, difficult to understand scriptures, leadership and ministry topics and much more. Sermons, outlines and lessons on various topics can be accessed through the search feature of the website. The process of digitizing written and recorded information so that it can be utilized on the internet will be a time consuming and tedious process. Jason Ulibarri, a Sunset alumnus with a degree in computer science, has agreed to join Sunset to lead this huge project. We estimate that this will be a three year process in the initial development stage. There will be a need for some equipment to make this process possible as well as developing the website and app and letting the Brotherhood know of these materials and how to access them. This will be a great resource for many and a positive way of blessing the Kingdom of God. It will be important to integrate all of the digital information into an easily accessed site that is indexed by topics. The goal will be that when someone “googles” a Biblical topic, text or word, they will be directed to all of the information we have on that topic, word or text. Most of the people converted to Christ in the United States are converted before the age of 25. College campuses across the USA are receptive mission fields for reaching the lost here in America. In 2018, a team of AIMers joined Isaac McNally, a Sunset alumnus, on the Texas A&M University Commerce campus where they minister and work. In 2019, a team of AIMers is going to work on the University of New Mexico campus. 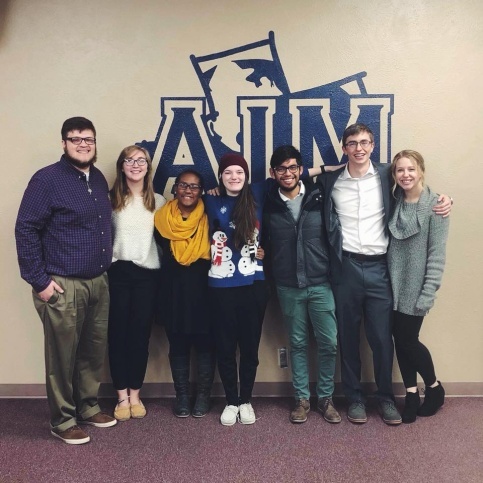 The goal is to establish a workable disciple making model for campus ministry using AIM students and then to spread that same evangelistic model across the United States. Other campuses in Texas, Arizona, Florida, California are expected to soon follow this. An additional blessing of this effort is that it will provide a productive reentry mission for returning AIMers. In order to recruit and train a sufficient number of preachers to meet the needs of congregations across the USA, we must begin teaching and training students at an earlier age. Sunset will be hosting a camp for teenagers interested in learning to preach the Word of God. This relationship with Sunset should lead some, as they develop, to become full time students Sunset, in preparation for long term ministry. Through Discipletrips, which offers short-term mission trips for teens and adults, we are developing relationships with those who plan to attend AIM or come to Sunset to become missionaries. It is expected that this future preacher camp will also be a blessing to the congregations that send young men to be trained in leadership and preaching. For years, veterans have come to Sunset and received their education in preaching and ministry using funding from their GI Bill. Sunset is approved to offer this education to veterans and hundreds have taken advantage of this opportunity. Sunset plans to actively recruit veterans to attend Sunset to get their degree and enter a life of ministry and service in the Kingdom of Christ utilizing graduates who are veterans that have graduated from Sunset and are serving congregations around the country. In addition, Sunset plans to begin reaching out on military bases across the country seeing how we can serve those in the armed services and minister to the needs of their families. We owe a great debt to those who serve and want to minister to them and make our materials and information available to them. This outreach to our military and veterans and recruiting veterans to come to Lubbock to study and become preachers will be a blessing to our nation, our congregations and to veterans and their families. Everyone recognizes that those who serve as political leaders in Washington DC are in need of spiritual direction. We must recognize that if this direction is to be given, it must be initiated by Churches of Christ and by Christian ministries like Sunset. We plan to make a concerted effort to communicate and interact with our political leaders in any way available to us and by utilizing Christian men and women that have experience working with those on Capitol Hill and other political institutions in Washington DC. First Timothy 2:2 reminds us that we have an obligation to pray for our leaders, and we are dedicated to praying for them and the decisions they make. It is obvious that there is more that we can do to assist them in making godly decisions. We will, of course, seek opportunities to impact State legislators, but will focus as much attention as possible on national leaders. We hope that you will pray for this effort and consider partnering with us in Mission America. With your partnership and prayers and especially with the power and blessing of our God, Sunset will endeavor to recruit new preachers and ministers, train domestic mission teams, plant congregations, mature and plant Hispanic congregations, take students on humanitarian trips, provide free resources to congregations,place mission teams on college campuses, conduct an annual future preacher camp, recruit veterans, impact those in the armed forces serving on military bases and seek to communicate with political leaders to provide spiritual direction.What an opportunity! Please join us in Mission America.